What is a hpk file and how do I open a hpk file? HPK are game archive files used by Tropico, a game where players build and maintain an island. They contain game data including music, maps and other content. HPK files for Tropico 3 & 4 can be extracted with HPK Archiver. Compressed archive files are affixed with the .hpk extension and might contain a file or a group of files and folders compressed in an HPK file. The compression of the files reduce the combined actual size of the files and folders in its uncompressed format, thereby promoting more convenient ways of distributing and porting these files from one computer to another, or via Web servers. The HPack 0.79a0 program is categorized as an application integrated with functionality for compressing files utilizing a multi-platform algorithm. This means the HPack 0.79a0 application is also implemented with support for many operating systems. The compression ratios developed into this application are able to produce HPack compressed archive files that may be quickly decompressed, and fast compression of uncompressed files and folders is also available with this program. Aside from the reduction rates in terms of the file size and lossless compression features provided by excellent compression ratios. An HPack compressed archive file is stored in the HPK format and is integrated with file compression standards and encoding specifications used by the HPack 0.79a0 file compression and decompression software. These compressed archive files are affixed withth the .hpk extension and may contain a file or a group of files and folders compressed in one HPK file. 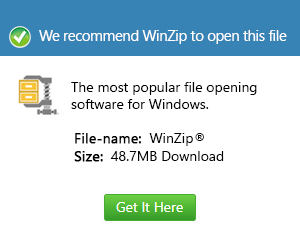 The compression of these files reduce the combined actual size of the files and folders in its uncompressed format, thereby promoting more convenient ways of distributing and porting these files from one computer to another, or via Web servers. The HPack 0.79a0 program is classified as an application integrated with functionalities for compressing files using a multi-platform algorithm. This means the HPack 0.79a0 application is also implemented with support for many operating systems. Efficient compression ratios developed into this application can produce HPack compressed archive files that may be quickly decompressed, and fast compression of uncompressed files and folders is also available with this program. These are aside from the reduction rates in terms of file size and lossless compression features provided by good compression ratios.